To evaluate and compare the diagnostic performance of non-enhanced computed tomography (NECT) and contrast-enhanced CT (CECT) attenuation indices in the assessment of hepatic steatosis by using biopsy as the reference standard. This retrospective study was approved by our Institutional Review Board. 55 Potential donors who underwent both NECT and triphasic CECT and core liver biopsy, were included the study. Average attenuation measurements that were obtained from multiple regions in liver, spleen, and psoas muscle on both unenhanced and CECT were used for analysis. Hepatic attenuation measurements were analyzed with and without normalization with the spleen and psoas muscle. Linear regression and receiver operating characteristic (ROC) curve analysis were used to evaluate the statistical association between CT indices and steatosis at histology. Linear regression analysis confirmed the strongest correlation between steatosis and normalized measurements of hepatic attenuation with splenic attenuations on hepatic venous phase of CECT scan (R 0.821; R2 0.674 and R 0.816; R2 0.665, respectively). The use of ROC curve analysis also demonstrated that normalized measurements of hepatic attenuation with splenic attenuations on hepatic venous phase of CECT showed high diagnostic performance regarding the qualitative distinction of steatosis (AUC values greater than 0.9). Attenuation measurements of liver normalized with spleen on hepatic venous phase may be useful in evaluating steatosis in donor candidates with moderate to severe steatosis who are unacceptable for liver donation. In this manner unnecessary liver biopsy may be avoided in those donor candidates. This manuscript has not been published and is not under consideration for publication elsewhere. 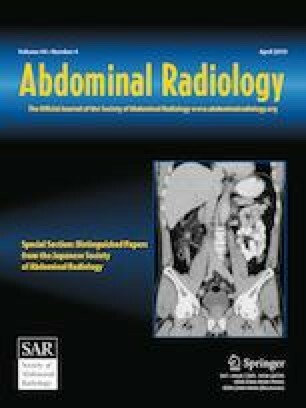 All authors have approved the manuscript and agree with its submission to Abdominal Radiology. The online version of this article ( https://doi.org/10.1007/s00261-019-01993-6) contains supplementary material, which is available to authorized users. Xiaozhou Ma X, Holalkere NS, Kambadakone RA, et al. Imaging-based quantification of hepatic fat: methods and clinical applications. Radiographics. 2009;29:1253–1280. https://doi.org/10.1148/rg.295085186. van Werven JR, Marsman HA, Nederveen AJ, Smits NJ, ten Kate FJ, van Gulik TM, et al. Assessment of hepatic steatosis in patients undergoing liver resection: Comparison of US, CT, T1-weighted dual-echo MR imaging, and point-resolved 1H MR spectroscopy. Radiology. 2010;256:159–68. https://doi.org/10.1148/radiol.10091790. Russo MW, Brown RS Jr. Russo MW, Brown RS. Is the cost of adult living donor liver transplantation higher than deceased donor liver transplantation? Liver Transpl. 2004;10:467–468. https://doi.org/10.1002/lt.20102.